State of Play is a 2009 political thriller film, based on the six-part British television serial of the same name which first aired on BBC One in 2003. 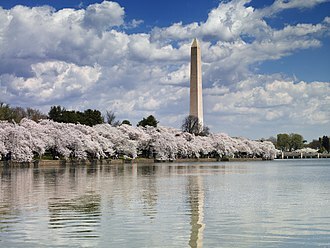 The plot of the six-hour serial was condensed to fit a two-hour film format, with the location changed to Washington, D.C. The film was directed by Kevin Macdonald from a screenplay written by Matthew Michael Carnahan, Tony Gilroy, Peter Morgan, and Billy Ray. The film tells of a journalist's (Russell Crowe) probe into the suspicious death of a congressman's (Ben Affleck) mistress. The supporting cast includes Rachel McAdams, Helen Mirren, Jason Bateman, Robin Wright Penn and Jeff Daniels. Macdonald said that State of Play is influenced by the films of the 1970s and explores the subject of privatization of American Homeland Security and to a minor extent journalistic independence, along with the relationship between politicians and the press. It was released in North America on 17 April 2009. The film received generally positive reviews. One night, a thief fleeing through Georgetown in Washington, D.C., is shot by a man carrying a briefcase. A deliveryman who witnesses the incident is also shot by the killer and is left in a coma. The following morning, a young woman is killed by a Washington Metro train in what seems to be suicide. Congressman Stephen Collins (Ben Affleck) is distraught to hear that the woman was Sonia Baker (Maria Thayer), a researcher on his staff. Collins, who has military experience, is leading an investigation into PointCorp, a private defense contractor with controversial operations involving mercenaries. Collins tells his college roommate and old friend Cal McAffrey (Russell Crowe), an investigative reporter, that he had been having an affair with Sonia and that she had sent him a cheerful video message on the morning of her death, which he says is inconsistent and unusual behavior for someone about to commit suicide. Della Frye (Rachel McAdams), a reporter and blogger with the online division of Cal's newspaper and its editor, Cameron Lynne (Helen Mirren), discover that Sonia's death occurred in one of only three CCTV blind spots in the Metro camera system. Cal believes the shootings are related to Sonia's death and finds a link between the thief and a homeless girl who sought out Cal. The girl gives him photographs that the thief, a friend of hers, had stolen from the killer's briefcase. The photos show surveillance images of Sonia talking to a well-dressed man. Della visits the hospital where the deliveryman is regaining consciousness and witnesses his murder by an unseen sniper. Later, she reviews CCTV footage and recognizes a man she saw at the hospital. It is later revealed that PointCorp stands to gain billions of dollars annually from its mercenary activities in the Middle East and domestically. Cal speaks with Collins, who shares his research findings: PointCorp is cooperating with other defense contractors to create a monopoly and purchase government surveillance and defense contracts, essentially privatizing United States security. Cal's PointCorp insider returns with the address of someone linked to the suspected assassin. Cal finds the assassin living there and calls the police, who force the man to disappear after he shoots at Cal. Della, following a lead, finds the identity of the well-dressed man who was speaking to Sonia in the listed photographs. He is Dominic Foy (Jason Bateman), a PR executive working for a subsidiary of PointCorp. Cal blackmails Foy into talking about his activities with Sonia and secretly tapes their conversation. He reveals that Sonia was being paid to spy on Collins and to seduce him to get information for PointCorp, but she fell in love with Collins and was pregnant with his child when she was killed. Before Cal's newspaper goes to press, Collins goes on record to present his research into PointCorp. Collins's estranged wife Anne (Robin Wright Penn), whose conversation with Cal seems to imply a past love triangle dating back to their college years, reveals that she knows the amount of money Sonia received from PointCorp, after hearing Collins's statement to the newspaper. After the couple leaves, Cal realizes that Collins already knew that Sonia was working for PointCorp. Cal wonders what Collins would have done had he known he had been tricked and whether Collins himself is connected with Sonia's assassin. 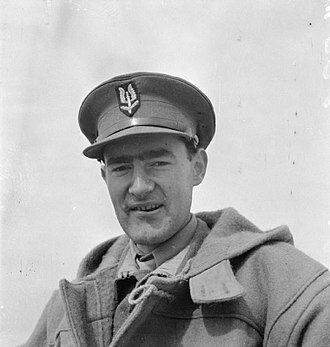 A picture of Collins from his military days, with the assassin in the frame, confirms Cal's hunch. 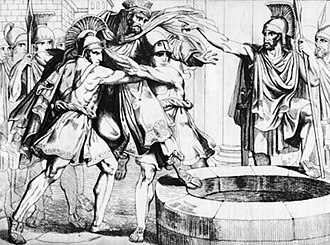 Collins reveals that he had been suspicious of Sonia, and that he hired the assassin to watch her. The assassin is U.S. Army corporal Robert Bingham (Michael Berresse), whose life Collins had once saved. Collins says that Bingham hated PointCorp more than he did, and that he killed Sonia with no authorization. Cal tells Collins that he has three minutes to leave his office before the police arrive, as he has already contacted them. As he leaves the building, Cal is confronted by Bingham. Officers arrive and shoot Bingham before he opens fire. Cal leaves and goes to his office. There, Cal and Della type up their own story, noting that Collins was secured and arrested. Della's surname was changed from "Smith" to "Frye". Cameron's surname was changed from "Foster" to "Lynne," and the character's gender was changed. Andrew's surname was changed from "Wilson" to "Pell". Det. Bell's first name was changed from "William" to "Donald". 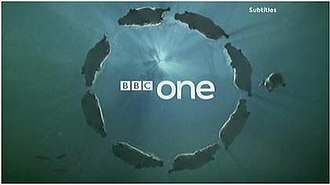 The television miniseries was written by Paul Abbott and aired on British television channel BBC One in May and June 2003 and on BBC America in April 2004. Abbott was initially reluctant to sell the film rights to State of Play, fearing a compressed version of his miniseries would be unworkable, but in May 2004 a seven-figure Paramount Pictures-backed bid led by producer Scott Rudin was accepted. The bid prevailed over an offer from Andrew Hauptman's Mission Pictures (backed by Warner Bros.), but the deal fell through before completion. After a second bidding war, Mission acquired the rights for Universal Pictures in December 2004. Director Kevin Macdonald had long been attached to the project, though an early report suggested screenwriter Matthew Michael Carnahan was set to make the film his directorial debut. Macdonald was a fan of the original miniseries, and said it would be a "hard act to follow". He said it was the blend of fiction and the topical subjects of journalism and politics that attracted him to the project, adding that he wanted to examine the ways in which American and European societies learn what is going on in the world, and to what degree newspapers and the nightly news could be trusted. He said that in an age when people read fewer newspapers, he wanted to explore the necessity for reliable information and the threat to the journalistic profession from collusion between reporters and politicians, and that the film would "[ask] questions of how independent the press is, how much real investigating is conducted, and how much is taken on faith from lobbyists or PR sheets." Macdonald cited the films of the 1970s, All the President's Men in particular, as major influences, saying that while he was scared of comparisons with the film account of the Watergate scandal, State of Play would primarily be a piece of entertainment. According to Carnahan, the story's core issue (and main factor behind his desire to write the adaptation) was the question it raised about whether a person would be justified in doing "a pretty awful thing" if they were performing great deeds in other areas of their life. Carnahan began working on revisions to his script with Macdonald, but the process was disrupted when Carnahan's daughter fell ill. When he chose to concentrate his time on his family, the task was handed to Bourne film series screenwriter Tony Gilroy, who performed a small rewrite based upon Carnahan's notes. Further rewrites were carried out by The Queen screenwriter Peter Morgan and Shattered Glass writer/director Billy Ray. The film was made for Universal Pictures by Working Title Films. Eric Fellner and Tim Bevan produced for Working Title, alongside E. Bennett Walsh, and Andell Entertainment's Andrew Hauptman and Eric Hayes. Paul Abbott served as executive producer alongside Liza Chasin and Debra Hayward. Kristen Lowe and Maradith Frenkel were overseers for the studio. 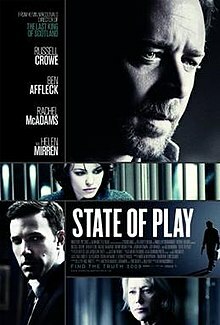 State of Play was to be released in the United States towards the end of 2008, but the delayed start to production saw the date changed to April 17, 2009. State of Play was released in the United Kingdom on April 24, 2009, and was released in Australia on May 28, 2009. I wanted to explore the ambiguity of journalism... It's a kind of a conceit that journalists live under, that they remain objective. That's never been my experience. They're all too human, all too emotionally affected. Someone could write absolute rubbish about you because their aunty's having a problem with cancer or something. It's the way they re-balance themselves. So I think examining that conceit and examining the true input of human experience in the journalism that we read, it was very interesting for me. -- Russell Crowe on his attraction to the role of Cal McAffrey. Brad Pitt had a long association with the main role. He was initially attracted to the project after watching Macdonald's documentary Touching the Void (2003), and had enjoyed the director's film The Last King of Scotland (2006). Macdonald had also been working with Pitt's production company Plan B Entertainment on a potential future project. Pitt officially committed to star in State of Play in August 2007 after a Tony Gilroy script rewrite was completed. He visited the newsroom of The Washington Post with Macdonald in September 2007 to research the role, spending four hours "talking shop" with political and investigative reporters, but one week before filming was to begin in November 2007, he left the production. Producer Eric Fellner attempted to convince Pitt to remain in the film, but Pitt was in disagreement with the studio over changes that had been made to the script since he originally agreed to star. Talent agency CAA (which represents Pitt) maintained that he never signed off on the changes; Macdonald delayed filming by a week to perform a scene-by-scene review of the script with Pitt; by the end, the director told the actor "I don't think we want to make the same film." When Pitt decided to drop out of the film he called the director himself to say so. Pitt preferred a version closer to the original Carnahan draft and wanted to postpone filming until after the resolution of the 2007–2008 Writers Guild of America strike, which would have enabled a further rewrite. The studio preferred to press on with production, and initially said it was to sue Pitt for reneging on his "pay or play" deal, which would have earned him $20 million. 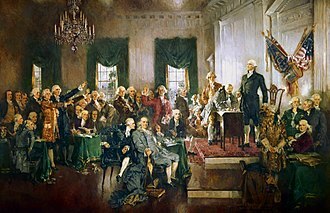 Settlement talks later led to a thawing of relations between the parties. Pitt later said of the situation: "I had definite beliefs of what [the film] should be, and the director had his definite beliefs [and] we got up against this writers' strike where we couldn't fuse the two." Macdonald traveled to Australia to court Crowe's involvement, which averted the film's abandonment after Pitt left. 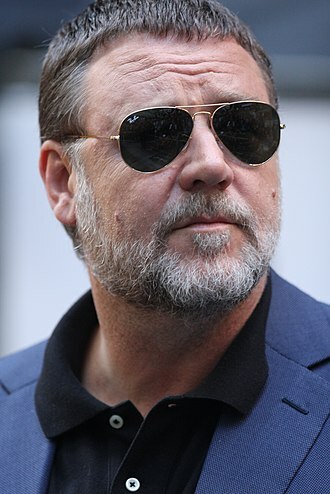 Crowe also had to negotiate with the studio over shooting dates to avoid a conflict with Nottingham (later renamed "Robin Hood"), which he was due to star in for director Ridley Scott in March 2008. Crowe said jumping immediately into the part was similar to immediately taking roles as a jobbing young actor. He had not seen the series, and was unsure about taking the role, as he could not compare a six-hour telling of the story to a two-hour adaption. The majority of Crowe's three hours per day in hair and makeup preparation was spent hiding his "extremely long" hair, which he grew for his title role in Robin Hood. During filming in Washington, DC, Crowe acquired an education in journalism from The Washington Post's Metro editor, R.B. Brenner. Universal president of production Donna Langley said Crowe's performance was a naturalistic one, and claimed State of Play was a different film than the one that would have been made had Pitt remained. British newspaper The Independent noted that hiring an A-list American actor (Pitt) for the lead role was sidelining original McAffrey actor John Simm, who it said was "widely considered one of the best television actors to emerge in recent years" and that the recasting was "the latest example of the trend for British actors to be replaced by Americans". The Stage television writer Liz Thomas said that while it was frustrating for British actors, such casting made good commercial sense, expressing hope that the film's high-profile would be a "huge advert" or "shop window" for other such projects to come out of the UK in recent years. In a scene shot at the Library of Congress, the production employed several real-world journalists amongst the extras in a scene in which Wright-Penn's character makes a statement to the press. The group included Bob Woodward, Margaret Carlson, Bob Schieffer, John Palmer, E. J. Dionne, Katty Kay, and Steven Clemons. Additionally featured are cameos by real-life news media commentators Lou Dobbs of CNN and Chris Matthews of MSNBC. Long-time Washington, DC, area sportscaster Frank Herzog also has a non-speaking cameo as a congressman present at the PointCorp hearings. Journalist and Clinton confidante Cody Shearer is credited as a consultant on the film. Steve Clemons observed that "Crowe's style, language, posture, everything — just had to be modeled on Cody Shearer." Affleck replaced Edward Norton, who had joined the project in September 2007, but when the start of production was delayed due to Pitt's departure, a scheduling conflict developed for Norton with Leaves of Grass, which he was committed to film for Tim Blake Nelson early in 2008. Norton asked Universal Pictures if he could be replaced, and a deal was struck between the studio and the Endeavor Talent Agency (which represents Norton and Affleck) to enable Norton to leave the production amicably. Crowe had partly been attracted to the project because of Norton's involvement, but he and Affleck had "so many touchstones in common" he was fine with the recasting. 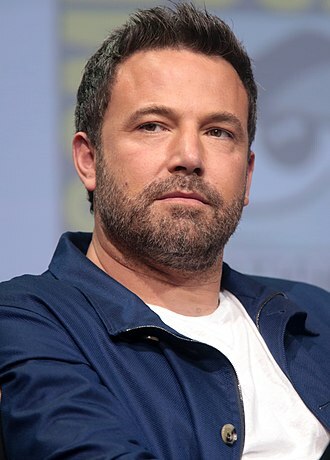 Affleck visited Capitol Hill to research his role, meeting with Speaker Nancy Pelosi, Representative Anthony D. Weiner of New York's 9th congressional district, and members of the Massachusetts congressional delegation. In an April 2009 interview to promote the film, Affleck said he drew on the experiences of Gary Condit, Elliot Spitzer, and John Edwards while preparing for the role. 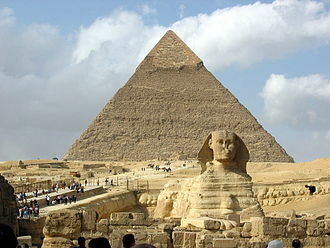 Principal photography took place between January 11, 2008, and April 6, 2008. Filming was originally scheduled to start in November 2007, but was postponed due to Brad Pitt's unexpected departure from the production. Eric Fellner indicated that the film was close to being abandoned, and credited Universal's chairman and co-chairman (Marc Shmuger and David Linde) with seeing the film to production. The exterior of the Department of Housing and Urban Development building in Washington, D.C. doubled as a hospital entrance. The first eight weeks of filming took place in Los Angeles, which accounted for the majority of the shooting schedule. A "massive" newsroom set was built to act as the hub of operations for the fictional Washington Globe newspaper. Costume designer Jacqueline West indicated that she looked to the newsroom of The Washington Post for inspiration, and used photos of The Baltimore Sun's newsroom to help her develop the journalists' looks. The production moved to Washington, DC for five weeks of location filming towards the end of the shoot, commencing on March 6, 2008. 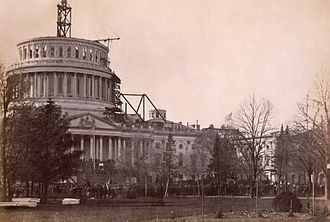 More than a third of State of Play was shot in Washington, DC, with filming taking place throughout the city. The filmmakers estimated that State of Play may have set a record for the longest studio shoot in the city. Locations included the neighborhoods of Adams Morgan, Shaw, and Mount Pleasant. Scenes set on Mount Pleasant Street were also filmed at the Los Angeles studio, where a full replica of the strip's facade was built. In Georgetown, menswear store The District Line was transformed into a household goods store to shoot a chase scene for the film's opening sequence. Filming took place on various streets in Washington, DC, including the U Street Corridor, and at "practically every major landmark", including outside the headquarters of the World Bank on Pennsylvania Avenue, around Capitol Hill, at the Supreme Court building, outside the Library of Congress, and at the Washington Monument. Other locations included landmark restaurant Ben's Chili Bowl, where restaurant workers were employed as extras, and the Maine Avenue Fish Market. The Americana Hotel in Crystal City was also used for the scenes in which McAffrey interrogates Dominic Foy. The exterior of the Department of Housing and Urban Development building was used to double as a hospital entrance. In preparation for filming, eighteen two-foot by three-foot photographs of Secretary Alphonso Jackson were removed from the entrance. The production's "working week" was Wednesday to Sunday, because several of the government buildings featured could not be used for filming during regular work days. The Harbour Square Owners Cooperative complex doubled as the home of Affleck's character. The Rosslyn Metro station is the setting for a scene in which a character is struck by a train. The station was chosen by the filmmakers for its long escalator that leads directly onto a platform. A key scene in which a character is struck by a train takes place on the Washington Metro. Filming for the scene took place at the Rosslyn Metro station in Virginia. The Rosslyn station was chosen because it was the only station in the Metro system to have a long escalator leading to a platform, with trains passing at the same times on upper and lower levels. Filming also took place at night aboard two railcars at the Forest Glen Metro station in Maryland. Permission to film at the stations was granted after the script was vetted by the Metro's media relations office, which is notoriously discriminating about which productions it allows to film on the Metro. After the deaths of three Metro employees in 2006, the office was reluctant to allow filming of the scene, but because the script did not explicitly show a death, the office assented. Scenes on the Metro had to meet strict standards for logistics and safety. The portrayal of anything illegal in the system was not allowed, nor was showing characters eating, drinking, jumping over fare gates, or running on the tracks. The production also had to agree to film scenes at the busy Rosslyn station at times when the system was least busy: late at night and after rush hour. Producer E. Bennett Walsh said that the production chose not to shoot on the less restrictive Baltimore subway, which has substituted for Washington, DC in other films that have come up against the Metro's rules, because "To shoot any other subway, you would know you're not in Washington." Scenes were filmed at the Watergate complex, for which the production was granted permission to use the roof of a George Washington University campus building. Scenes were also filmed in the morgue of the St. Mary Medical Center in Long Beach, California. Washington, DC police officer Quintin Peterson was employed as a consultant on the film. Peterson, who has acted as a script consultant and technical adviser on numerous productions in the city, helped the production to accurately depict the city's police force. Filming took place on the steps of the Scottish Rite Freemasonry temple in Washington, DC. Maryland's Montgomery Blair High School provided a marching band for the background. They were joined by players from the school's production of the Beauty and the Beast musical and students from Paint Branch High School's Winter guard to act as color guard for the scene. Macdonald's aim was to recreate a famous 1970s Canadian photograph, which depicts rifle-twirling majorettes, in order to emphasize militaristic themes and to comment upon the place of guns in American society. The aesthetic also appealed to Macdonald: "it's just very colorful and beautiful and very American—like a piece of anthropology in America." The majority of filming over the last three weeks of the shoot took place at night. Filming for these scenes usually began at 5:00 p.m. and finished at 5:00 a.m. A scene filmed under the Key Bridge in Georgetown on April 6, 2008 was the last of principal photography. Director of photography Rodrigo Prieto indicated that the film was shot in two distinct visual styles: scenes featuring the media were shot in the anamorphic format on 35 mm film, while scenes focusing on the world of politics were shot in high-definition video with the Panavision Genesis digital video camera. Hand-held cameras have been used. For color management, Prieto employed Gamma & Density Company's 3cP color management and correction software, using the American Society of Cinematographers' Color Decision List to keep color consistent throughout shooting, dailies, post and digital intermediate finishing process. 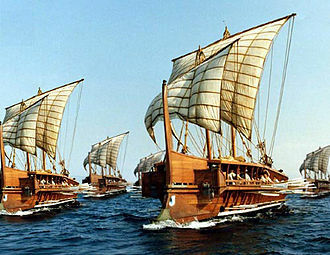 The digital effects were handled by Rhythm and Hues. Alex Heffes, who provided the music for Macdonald's One Day in September, Touching the Void, and The Last King of Scotland, scored the film. It was recorded in the United Kingdom. Heffes indicated that he had a preference for scoring around the dialogue rather than through it. As with the recording of his previous works, Heffes conducted the orchestra himself to enable re-scoring as the recording session proceeded. Macdonald prefers to involve Heffes early on in production, and in an unusual move for a studio film, he had Heffes write some of the music to State of Play in advance of principal photography, based purely upon the script. Heffes said this was to provide a hint to the direction the film was going to take. 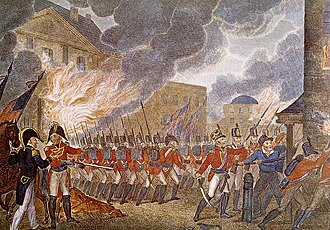 He said that he and Macdonald had decided to take the score down an unusual path, "off the beaten track", and that the prospect was a "liberating" one. Grammy Award-winning record producer "Flood" (aka Mark Ellis) is working with Heffes on the score. Heffes said that working with Ellis "opened his mind" and that they attempted to push boundaries. He said that in producing the score, Flood brought an aesthetic to recording the instruments that was atypical for film recording sessions. The song that Cal McAffrey is singing along with at the beginning of the film is a Newfoundland folk song entitled "The Night Paddy Murphy Died" as sung by Canadian band Great Big Sea. 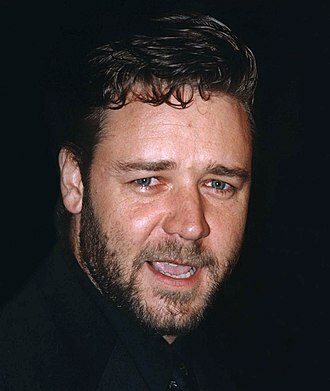 Russell Crowe has had an extended personal and professional relationship with the band and its lead singer, Alan Doyle. The song heard during the end credits is John Fogerty's "Long As I Can See The Light" performed by Credence Clearwater Revival. On review aggregator Rotten Tomatoes, State Of Play holds an approval rating of 84% based on 209 reviews, with an average rating of 6.9/10. The site's critical consensus reads, "A taut, well-acted political thriller, State of Play overcomes some unsubtle plot twists with an intelligent script and swift direction." Metacritic, another review aggregator, assigned the film a weighted average score of 64 out of 100 based on 36 critics, indicating "generally favorable reviews". Philip Kemp from Total Film called it "a twisty substantial thriller" and said "It's not as exceptional as its source but the changes implemented mostly enhance rather than harm the story." Roger Ebert of the Chicago Sun Times described the film as "a smart ingenious thriller", and he went on to say, "There are many other surprises in the film, which genuinely fooled me a couple of times, and maintains a certain degree of credibility for a thriller". ^ Jennings, Marc (February 2009). "20 to watch in 2009". Empire. emap. p. 75. ^ "State of Play (2009) - Financial Information". The Numbers. Retrieved 6 March 2018. ^ Tim Goodman (2006-04-16). "Two reasons you shouldn't watch 'The Sopranos' on Sunday nights: 'Prime Suspect' and 'State of Play'". San Francisco Chronicle. Hearst Corporation. Retrieved 2008-02-22. ^ Michael Fleming, Cathy Dunkley (2004-05-05). "WB, Par have a novel idea". Variety. Reed Business Information. Retrieved 2007-11-20. ^ Adam Dawtrey (2004-12-06). "U on Mission to put 'State' into pic play". Variety. Reed Business Information. Retrieved 2007-09-27. ^ a b c Terry Kirby (2006-10-13). "Simm supplanted by Pitt in film version of 'State of Play'". The Independent. Independent News & Media. Retrieved 2007-09-26. ^ a b Gaël Golhen (2007-10-15). "L'interview de Kevin Macdonald pour State of play". Première (in French). Hachette Filipacchi Médias. Archived from the original on 2007-10-31. Retrieved 2007-11-21. ^ a b c Michel Fleming, Diane Garrett (2007-03-19). "Macdonald to direct 'State of Play'". Variety. Reed Business Information. Retrieved 2007-09-27. ^ a b Brad Brevet (2007-09-25). "Carnahan Talks the 'State' of 'White Jazz". Ropeofsilicon.com. RopeofSilicon.com, LLC. Retrieved 2007-09-26. ^ Adam Dawtrey (2007-10-01). "Morgan prepares 'Queen' sequel". Variety. Reed Business Information. Retrieved 2007-10-02. ^ Rachel Abramowitz, Robert W. Welkos (2007-10-24). "While the Iron is Hot". Los Angeles Times. Tribune Company. Retrieved 2007-10-24. ^ a b c d e Lena H. Sun (2008-04-01). "Rail to Reel". The Washington Post. The Washington Post Company. Retrieved 2008-04-02. ^ a b "State of Play Cast and Crew". Working Title Films. Archived from the original on December 5, 2008. Retrieved 2008-01-21. ^ a b c d Michael Fleming (2007-11-21). "Brad Pitt drops out of 'State of Play'". Variety. Reed Business Information. Retrieved 2007-11-22. ^ Pamela McClintock (2008-03-31). "2008 awards season shaping up". Variety. Reed Business Information. Retrieved 2008-04-01. ^ "UK Film release schedule: April 2009". Film Distributors' Association. Retrieved 2009-01-27. ^ Michael Bodey (2009-01-28). "Schepisi in the wars, but hopeful". The Australian. News Limited. Retrieved 2009-01-27. ^ a b c d e Anika Manzoor (2008-03-23). "Blazers brush with fame". Silver Chips. Montgomery Blair High School. Retrieved 2008-03-27. ^ Michel Fleming (2007-08-10). "Rush to Judgment". Variety. Reed Business Information. Retrieved 2007-09-27. ^ Marissa Newhall (2007-09-22). "The Post's Pitt Stop". The Washington Post. The Washington Post Company. Retrieved 2007-09-26. ^ Amanda Andrews (2008-01-18). "The dynamic duo of British film look to TV drama as next big challenge". The Times. News International. Retrieved 2008-01-18. ^ a b c Michael Fleming (2008-02-22). "Universal's re-born identity". Variety. Reed Business Information. Retrieved 2008-02-25. ^ a b "News Etc". Empire. March 2009. pp. 16–17. ^ Michael Fleming (2007-12-18). "Pitt in talks to star in 'Tree of Life'". Variety. Reed Business Information. Retrieved 2007-12-21. ^ "CNN Larry King interview with Brad Pitt". CNN.com. Time Warner. 2007-12-11. Retrieved 2007-12-13. ^ Michael Fleming (2007-12-02). "Many top names free for spring films". Variety. Reed Business Information. Retrieved 2007-12-03. ^ Martyn Palmer (April 2009). "In conversation with Russell Crowe". Empire. p. 140. ^ a b c d e f Jeffrey Ressner (2008-04-09). "'State of Play' wraps up in D.C." The Politico. Allbritton Communications Company. Retrieved 2008-04-10. ^ Anne Thompson (2008-08-14). "Universal's golden summer". Variety. Reed Business Information. Retrieved 2008-08-15. ^ a b Steven Clemons (2008-03-10). "State of Play?". The Huffington Post. HuffingtonPost.com, Inc. Retrieved 2016-09-01. ^ Amy Argetsinger and Roxanne Roberts (2008-03-18). "Running a Play for Time on the Big Screen". The Washington Post. The Washington Post Company. Retrieved 2010-08-10. ^ Steven Clemons (2009-04-25). "Blogs in "State of Play"". The Huffington Post. HuffingtonPost.com, Inc. Retrieved 2016-09-01. ^ a b Michael Fleming (2007-09-11). "Norton, Pitt reteam for 'State of Play'". Variety. Reed Business Information. Retrieved 2007-09-12. ^ Michael Fleming (2007-12-18). "Norton exits 'State of Play'". Variety. Reed Business Information. Retrieved 2007-12-18. ^ Elizabeth Benjamin (2008-06-30). "Affleck for Weiner". Daily News. Mortimer Zuckerman. Retrieved 2008-07-01. ^ TMZ staff (2008-01-16). "Affleck Vetoes Fan Worship at Capitol". TMZ.com. Time Warner. Retrieved 2008-01-17. ^ "Ben Affleck: State of Play". SuicideGirls.com. 2009-04-16. Retrieved 2009-04-16. ^ "Principal Photography Begins on State of Play". Working Title Films. 2008-01-11. Archived from the original on January 17, 2008. Retrieved 2008-01-20. 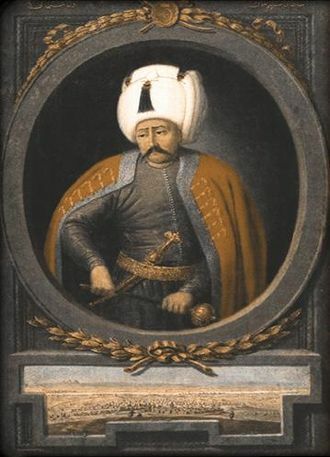 ^ a b Al Kamen (2008-04-02). "Sunny Australia Sure Beats a Senate Hearing". The Washington Post. The Washington Post Company. Retrieved 2008-04-02. ^ Baz Bamigboye (2008-02-29). "Regal Helen Mirren puts the accent on adaptability". Daily Mail. Daily Mail and General Trust. Retrieved 2008-02-29. ^ a b Amy Argetsinger, Roxanne Roberts (2008-03-06). "Honey, They Shrunk the Chief of Staff's Car!". The Washington Post. The Washington Post Company. Retrieved 2008-03-07. ^ ""State of Play" Filming on U Street March 19". Cardozo Shaw Neighborhood Association. 2008-02-09. Retrieved 2008-03-07. ^ "Movie Coming to Mt. Pleasant". Website of Washington, D.C. Ward One Council member Jim Graham. 2008-02-20. Archived from the original on 2008-03-22. Retrieved 2008-03-07. ^ Tanya Snyder (2008-03-18). "My Boyfriend's In State of Play". Washington City Paper. Creative Loafing, Inc. Retrieved 2008-03-20. ^ Tony Rubino, Gary Markstein (2008-04-05). "Names and Faces: The State of 'State of Play'". The Washington Post. The Washington Post Company. Retrieved 2008-03-07. ^ a b c Amy Rhodin (2008-03-08). "Oscar winners film on campus". GW Hatchet. Hatchet Publications, Inc. Retrieved 2008-03-10. ^ a b Kevin Powers (2008-03-22). "First Look at Russell Crowe in State of Play". Firstshowing.net. First Showing, LLC. Retrieved 2008-03-26. 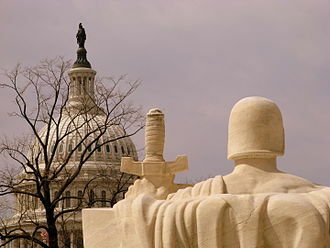 ^ "Two Big Movies Shooting in D.C." DCist. Gothamist, LLC. 2008-03-11. Archived from the original on 2008-03-14. Retrieved 2008-03-12. ^ a b c Allison Klein (2008-04-03). "Putting Fact, Fiction on the Same Page". The Washington Post. The Washington Post Company. Retrieved 2008-04-03. ^ Jane Black (2008-08-20). "50 Years of Friends and Chili". The Washington Post. The Washington Post Company. Retrieved 2008-08-20. ^ Christopher Orr (2009-04-17). "The Movie Review: 'State of Play'". The New Republic. The New Republic. Retrieved 2009-12-18. ^ a b Phil Rothfield, Rebecca Wilson (2008-05-05). "Russell Crowe Speaks Out". Herald Sun. The Herald and Weekly Times Ltd. Retrieved 2008-05-06. ^ "Hollywood chooses Harbour Square". Harbour Square Owners' Cooperative. Retrieved 2008-04-05. ^ "Metro's Star Turns on Film and TV". The Washington Post. The Washington Post Company. 2008-04-01. Retrieved 2008-04-01. ^ Tim Grobaty (2007-10-31). "Another whole lotta Zep". Long Beach Press-Telegram. Los Angeles Newspaper Group. Retrieved 2007-11-01. ^ Nitin Sukamar (2008-03-16). "Marching band to have role in upcoming thriller 'State of Play'". Silver Chips. Montgomery Blair High School. Retrieved 2008-03-27. ^ "School Notes". The Washington Post. The Washington Post Company. 2008-03-27. Retrieved 2008-03-27. ^ Jon D. Witmer (2008-06-01). "Prieto Uses 3cP-ASC CDL on State of Play". American Cinematographer. Los Angeles, California, United States: American Society of Cinematographers. 89 (6): 88. ISSN 0002-7928. ^ "Prieto ya filma con Russell Crowe" (in Spanish). Vanguardia. 2008-01-21. Retrieved 2008-01-25. ^ Debra Kaufman (2008-04-23). "Thoughts on NAB 2008: DI, 3D and (of course) RED". studiodaily.com. Access Intelligence, LLC. Retrieved 2008-04-24. ^ "Correction to Cinematographers in Any Budget Range". DMN Newswire. Digital Media Online, Inc. 2008-04-01. Retrieved 2008-04-24. ^ "Rhythm & Hues: Currently in Production". Rhythm and Hues. Retrieved 2008-06-30. ^ Alex Heffes, Tommy Pearson (April 2008). Interview with Alex Heffes (mp3) (Audio interview). Stage and Screen Online. Retrieved 2008-04-22. ^ "State Of Play (2009)". Rotten Tomatoes. Retrieved February 1, 2018. ^ "State Of Play Reviews". Metacritic. Retrieved 2010-02-12. ^ "State Of Play Review". Total Film. Future Publishing. Retrieved 2009-04-15. ^ Ebert, Roger (15 April 2009). "State of Play Movie Review & Film Summary (2009)". RogerEbert.com. Retrieved 2013-08-12. Closed-circuit television, known as video surveillance, is the use of video cameras to transmit a signal to a specific place, on a limited set of monitors. It differs from broadcast television in that the signal is not openly transmitted, though it may point to point, point to multipoint. Videotelephony is seldom called CCTV but the use of video in distance education, Surveillance of the public using CCTV is common in many areas around the world. In recent years, the use of body worn video cameras has been introduced as a new form of surveillance, video surveillance has generated significant debate about balancing its use with individuals right to privacy even when in public. In industrial plants, CCTV equipment may be used to observe parts of a process from a control room. CCTV systems may operate continuously or only as required to monitor a particular event, a more advanced form of CCTV, utilizing digital video recorders, provides recording for possibly many years, with a variety of quality and performance options and extra features. More recently, decentralized IP cameras, some equipped with sensors, support recording directly to network-attached storage devices. There are about 350 million surveillance cameras worldwide as of 2016, about 65% of these cameras are installed in Asia. The growth of CCTV has been slowing in recent years, the first CCTV system was installed by Siemens AG at Test Stand VII in Peenemünde, Nazi Germany in 1942, for observing the launch of V-2 rockets. The noted German engineer Walter Bruch, Wayne Cox, and Tashara Arnold were responsible for the technological design, in the U. S. the first commercial closed-circuit television system became available in 1949, called Vericon. Very little is known about Vericon except it was advertised as not requiring a government permit, marie Van Brittan Brown invented the home security system. The patent was granted in 1969, browns system had a set of 4 peep-holes and a camera that could slide up and down to look through each one. The system included a device that enabled a homeowner to use a set to view the person at the door. Studiocanal is a French film production and distribution company that owns the third-largest film library in the world. The company is a unit of the Canal+ Group, owned by Vivendi, the company was founded in 1987 by Pierre Lescure as a spin-off of the Canal+ pay-TV network. The original function was to focus on French and European productions, StudioCanals most notable productions from its early years include Terminator 2, Judgment Day, JFK, Basic Instinct, Under Siege, Free Willy, and the original Stargate movie. In those days, it was known as Le Studio Canal+ and it has strong links to Universal Studios. Other films the company financed include U-571, and Bridget Joness Diary, StudioCanal funded the last third of David Lynchs film Mulholland Drive. StudioCanal financed French-language films, such as Brotherhood of the Wolf, StudioCanal acquired film libraries from studios that either went defunct or had merged with it over the years. As a result, the library is the third-largest in the world, behind Warner Bros.
Robin Gayle Wright is an American actress and director. Wright received Primetime Emmy nominations for House of Cards in 2013,2014,2015 and 2016, Wright first gained attention for her role in the NBC Daytime soap opera Santa Barbara, as Kelly Capwell from 1984 to 1988. She made the transition to film, starring in the comedy fantasy adventure film The Princess Bride. She will next appear in the superhero film Wonder Woman and will appear in the upcoming film Blade Runner 2049 opposite Harrison Ford and Ryan Gosling, Wright was born in Dallas, Texas, to Gayle, a cosmetics saleswoman, and Freddie Wright, a pharmaceutical company employee. Wright was raised in San Diego and she attended La Jolla High School and Taft High School in Woodland Hills, Los Angeles. Wright started her career as a model, when she was 14 and she first became popular for playing Kelly Capwell on the NBC television soap opera Santa Barbara at age 18, which earned her several Daytime Emmy Award nominations. She transitioned into film work as Buttercup in the cult hit The Princess Bride. The latter role garnered her critical acclaim as well as Golden Globe Award. In 1996 she starred in the adaptation of Daniel Defoes Moll Flanders. She went on to co-star with her then-husband in the film Shes So Lovely, Wright received her third Screen Actors Guild Award nomination for her role in the television film Empire Falls. Since 2013, Wright has portrayed Claire Underwood, political mastermind Frank Underwoods equally ruthless wife and she received nominations for the Primetime Emmy Award in 2013 and 2014 for the same role. Following season 4 in 2016, Wright stated that she felt Claire Underwood was the equal of Frank Underwood, Wright has been cast in the live action Wonder Woman film alongside Gal Gadot and Chris Pine and Ridley Scotts Blade Runner sequel. 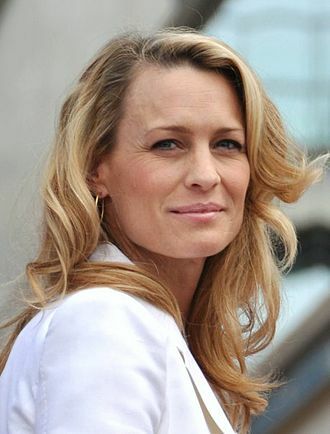 From 1986 to 1988, Wright was married to actor Dane Witherspoon, in 1989, Wright became involved with actor Sean Penn following his divorce from Madonna. Wright was offered the role of Maid Marian in Robin Hood, Prince of Thieves and their daughter Dylan Frances Penn was born in April 1991. A mercenary is a person who takes part in an armed conflict who is not a national or party to the conflict and is motivated to take part in the hostilities by desire for private gain. Mercenaries fight for money or other recompense instead of fighting for ideological interests, in the last century, and as reflected in the Geneva Convention, mercenaries have increasingly come to be seen as less entitled to protections by rules of war than non-mercenaries. However, whether or not a person is a mercenary may be a matter of degree, Protocol Additional GC1977 is a 1977 amendment protocol to the Geneva Conventions. 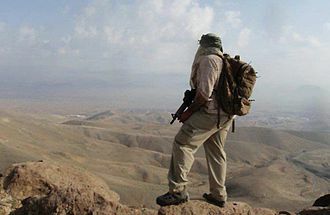 Article 47 of the protocol provides the most widely accepted definition of a mercenary, though not endorsed by some countries. 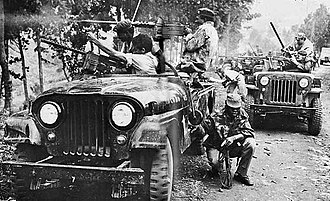 The Protocol Additional to the Geneva Conventions of 12 August 1949, a mercenary shall not have the right to be a combatant or a prisoner of war. All the criteria must be met, according to the Geneva Convention, according to the GC III, a captured soldier must be treated as a lawful combatant and, therefore, as a protected person with prisoner-of-war status until facing a competent tribunal. That tribunal, using criteria in APGC77 or some equivalent domestic law, may decide that the soldier is a mercenary. The only possible exception to GC IV Art 5 is when he is a national of the authority imprisoning him, if, after a regular trial, a captured soldier is found to be a mercenary, he can expect treatment as a common criminal and may face execution. As mercenary soldiers may not qualify as PoWs, they cannot expect repatriation at wars end, the four mercenaries sentenced to death were shot by a firing squad on 10 July 1976. The legal status of civilian contractors depends upon the nature of their work, on 4 December 1989, the United Nations passed resolution 44/34, the International Convention against the Recruitment, Use and Training of Mercenaries. 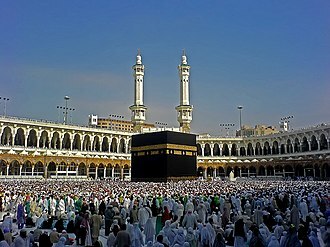 It entered into force on 20 October 2001 and is known as the UN Mercenary Convention. Article 1 contains the definition of a mercenary, Article 1.1 is similar to Article 47 of Protocol I, however Article 1. – under Article 1.2 a person does not have to take a part in the hostilities in a planned coup détat to be a mercenary. The Washington Metro, known colloquially as Metro and branded Metrorail, is the heavy rail rapid transit system serving the Washington, D. C. metropolitan area in the United States. 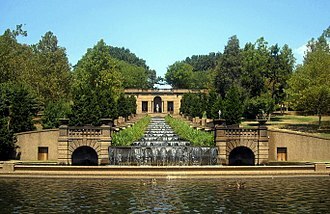 It is administered by the Washington Metropolitan Area Transit Authority, which operates Metrobus service under the Metro name, besides the District, Metro serves several jurisdictions in Maryland and Virginia. In Maryland, Metro provides service to Montgomery and Prince Georges counties, in Virginia, to Arlington and Fairfax counties and the independent city of Alexandria. Combined with its ridership in the independent Virginia cities of Falls Church and Fairfax, the system is currently being expanded into Loudoun County, Virginia. It operates mostly as a subway in the District itself, while most of the tracks are at surface level or elevated. Opened in 1976, the network now includes six lines,91 stations, Metro is the second-busiest rapid transit system in the United States in number of passenger trips, after the New York City Subway. There were 215.3 million trips on Metro in fiscal year 2015, in June 2008, Metro set a monthly ridership record with 19,729,641 trips, or 798,456 per weekday. Fares vary based on the distance traveled, the time of day, Riders enter and exit the system using a proximity card called SmarTrip. Metro has the distinction of having the longest, single-tier escalator in the Western Hemisphere in the Wheaton station, during the 1960s plans were laid for a massive freeway system in Washington. But the plan met fierce opposition, and was altered to include a Capital Beltway system plus rail line radials, the Beltway received full funding, funding for the ambitious Inner Loop Freeway system was partially reallocated toward construction of the Metro system. In 1960 the federal government created the National Capital Transportation Agency to develop a rail system. 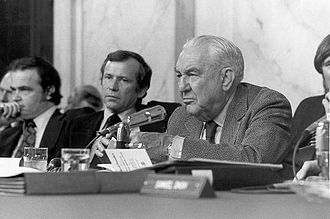 In 1966, a bill creating WMATA was passed by the government, the District of Columbia, Virginia. WMATA approved plans for a 98-mile regional system in 1968, the first portion of the system opened March 27,1976, with 4.6 miles available on the Red Line with five stations from Rhode Island Avenue to Farragut North, all in the District of Columbia. Peter Julian Robin Morgan CBE is a British film writer and playwright. Morgan is best known for writing the films and plays The Queen, Frost/Nixon, The Damned United. He is the creator of Netflixs drama series The Crown, in 2008, Morgan was ranked number 28 in The Telegraphs list of The 100 most powerful people in British culture. In February 2017, he was awarded a British Film Institute Fellowship, Morgan was born in Wimbledon, London. His mother, was a Catholic Pole who fled the Soviets and his father died when Morgan was nine years old. Morgan attended boarding school at Downside School and gained a degree in Fine Art from the University of Leeds, Morgan wrote television scripts during the 1990s, including an episode of Rik Mayall Presents. and the Comedy Premiere The Chest. He wrote the screenplay to the romantic comedy Martha, Meet Frank, Daniel, in 2003, Morgan broke through with The Deal, a television drama about the power-sharing deal between Tony Blair and Gordon Brown that was struck in the Granita restaurant in London in 1994. In 2006, Morgan received his Academy Award-nomination for The Deals follow-up, The Queen, that showed how the death of Princess Diana impacted Prime Minister Tony Blair and the Royal Family. His work on the film eventually awarded him a Golden Globe from the Hollywood Foreign Press,2006 saw the release of The Last King of Scotland, the screenplay of which Morgan adapted with Jeremy Brock. In 2007 they jointly won a BAFTA Film Award for their work on the film, in 2006, Morgans first play, Frost/Nixon, was staged at the Donmar Warehouse theatre in London. Starring Michael Sheen as David Frost and Frank Langella as Richard Nixon and these ended with his tacit admission of guilt regarding his role in the Watergate scandal. The play was directed by Michael Grandage and opened to enthusiastic reviews, in May 2007, the 50th San Francisco International Film Festival honoured Morgan with the years Kanbar Award for Excellence in Screenwriting. In July 2009, filming began on The Special Relationship, the film of Morgans Blair trilogy. Working Title Films Limited is a British film production company, based in London owned by Universal Studios. The company was founded by Tim Bevan and Sarah Radclyffe in 1983 and it produces feature films and several television productions. Eric Fellner and Bevan are now the co-chairs of the company, Working Title Films was co-founded by producers Tim Bevan and Sarah Radclyffe in 1983. In 1992, PolyGram became the companys corporate backer, Radclyffe left Working Title, and Eric Fellner, a fellow independent film producer, joined the company. The company produced a variety of films for PolyGrams London-based production company PolyGram Filmed Entertainment, an Anglo-Dutch film studio, PolyGram Films became a major Hollywood competitor. In 1998, Seagram sold the bulk of its library of PolyGram films released up until March 31,1996 to Metro-Goldwyn-Mayer, in 1999, PolyGram was sold to the Seagram company and merged with MCA Music Entertainment, to form Universal Music Group. PolyGram Films was sold and folded into Universal Studios in 1999, Working Title is based in London. One of his most notable roles is Harry Dunne in the buddy comedy Dumb and Dumber opposite Jim Carrey, a role he reprised in the 2014 sequel Dumb and Dumber To. He received Golden Globe Award nominations for Best Actor for his performances in The Purple Rose of Cairo, Something Wild and The Squid, Daniels work outside of the film industry has received similar acclaim and accolades as to his work on screen. He has received a number of nominations for his work on stage, including Tony Award nominations for Best Actor for his roles in the plays God of Carnage. He is the founder and current executive director of the Chelsea, Daniels was born in Athens, Georgia, to Marjorie J. and Robert Lee Bob Daniels. 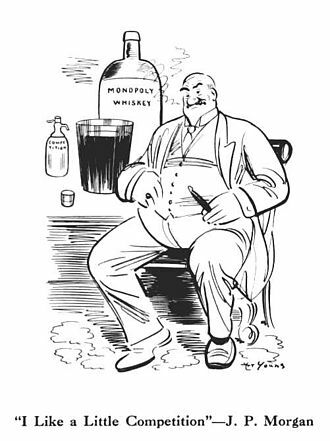 He spent the first six weeks of his life in Georgia, where his father was teaching and his father owned the Chelsea Lumber Company and was a onetime mayor of Chelsea. He attended Central Michigan University and participated in the theater program. Daniels performed in New York in The Shortchanged Review at Second Stage Theatre and it was the first show of the inaugural season for Second Stage Theatre. Daniels has starred in a number of New York productions, on and off Broadway. On Broadway, he has appeared in Lanford Wilsons Redwood Curtain, A. R. Gurneys The Golden Age and Wilsons Fifth of July, for which he was nominated for a Drama Desk Award for Best Supporting Actor. Off-Broadway, he received a Drama Desk nomination for Wilsons Lemon Sky, and he returned to the stage in 2009, appearing in Broadways God of Carnage opposite Hope Davis, James Gandolfini and Marcia Gay Harden. In 1991, he founded the Purple Rose Theatre Company, a stage company in Chelsea. Daniels has written more than a dozen plays for the company, in 2016, Daniels received a nomination for the Tony Award for Best Actor in a Play for his performance in Blackbird, opposite Michelle Williams. Daniels made his debut in Miloš Formans Ragtime in 1981. His next film, the Oscar-winning Terms of Endearment, in which he played Debra Wingers callow and he garnered a Golden Globe nomination as the star of The Purple Rose Of Cairo, directed by Woody Allen. Relativity Media LLC is an American media company headquartered in Beverly Hills, founded in 2004 by Lynwood Spinks and Ryan Kavanaugh. The studio was the third largest mini-major globally until bankruptcy on July 30,2015 and its full-scale film studio acquires, develops and distributes films. The companys partners and financial institutions have invested $20 billion as of 2012 in entertainment investments with partners such as Citibank, Merrill Lynch, Deutsche Bank, Relativity Media works in fashion, sports and music. On July 30,2015, the company filed for Chapter 11 bankruptcy in the United States Bankruptcy Court for the Southern District of New York after lawsuits, in March 2016, the company emerged from the bankruptcy. The studio was founded by Ryan Kavanaugh and Lynwood Spinks in 2004 as a middleman company arranging multi-film slate deals with studios arranging financial support through banks, Relativity Media would receive film equity, producers credit and a fee. Initially, Stark Investments, a Wisconsin-based hedge fund, funded the companys single-picture business, by 2007, these investors stopped making movie-finance deals. Elliott Management, a $16 billion New York–based hedge fund run by Paul Singer, took a minority share of the company access to around $1 billion in capital. On January 4,2009, the acquired the genre label Rogue from Universal. Relativity oversaw Rogues 2009 film offerings, which consisted of Last House On The Left, The Unborn, Come Out Fighting, the deal included the Rogue film library, featuring such films as Assault On Precinct 13 and The Strangers. One of the first arrangements was that the movie 21 and Over was partially filmed in Dongshigu, on May 18,2012, it was reported that Relativity was in talks to buy German producer-distributor Senator Entertainment. On July 6,2010, Relativity and Netflix announced a five-year-plus Pay-TV deal, the first two films to stream on Netflix were The Fighter and Skyline. On July 23,2010, Relativity acquired the 45-person marketing and distribution staff of Starz Overture Films, the studio distributed its first film on December 3,2010. The Warriors Way was directed by Sngmoo Lee and starring Jang Dong-gun, Geoffrey Rush, on May 20,2012, it was reported that Relativity and EuropaCorp signed a co-production and co-financing deal on two movies and Relativity will distribute in U. S.
Russell Ira Crowe is an actor, film producer and musician. Although a New Zealand citizen, he has lived most of his life in Australia, Crowe appeared as the tobacco firm whistle blower Jeffrey Wigand in the 1999 film The Insider, for which he received five awards as best actor and seven nominations in the same category. Crowe is the co-owner of the South Sydney Rabbitohs, an Australian National Rugby League team. Crowe was born on 7 April 1964 in the Wellington suburb of Strathmore Park, Crowes maternal grandfather, Stan Wemyss, was a cinematographer who was named an MBE for filming footage of World War II. Crowes paternal grandfather, John Doubleday Crowe, was from Wrexham, Crowe has English, Irish, Norwegian, Scottish and Welsh ancestry. He is a cousin of former New Zealand cricket captains Martin Crowe and Jeff Crowe, Russell has built a cricket field named for his uncle. When Crowe was four years old, his family moved to Sydney, the producer of the Australian TV series Spyforce was his mothers godfather, and Crowe was hired for a line of dialogue in one episode, opposite series star Jack Thompson. Crowe appeared briefly in the serial The Young Doctors, Crowe was educated at Vaucluse Public School but moved to Sydney Boys High School. When he was 14, his family moved back to New Zealand where, along with his brother Terry, he attended Auckland Grammar School with cousins Martin Crowe and Jeff Crowe. He continued his education at Mount Roskill Grammar School. Crowe began his career as a musician in the early 1980s, under guidance from his good friend Tom Sharplin. He released several New Zealand singles including I Just Want To Be Like Marlon Brando, Pier 13, Shattered Glass and he managed an Auckland music venue called The Venue in 1984. When he was 18, he was featured in A Very Special Person, a promotional video for the theology/ministry course at Avondale College, a Seventh-day Adventist tertiary education provider in New South Wales. Crowe returned to Australia at age 21, intending to apply to the National Institute of Dramatic Art, I was working in a theatre show, and talked to a guy who was the head of technical support at NIDA, Crowe has recalled. I asked him what he thought about me spending three years at NIDA and he told me itd be a waste of time. A typical CCTV control-room set-up, Alkmaar, Netherlands in 2007. Maria Thayer at the 2011 San Diego Comic-Con International.